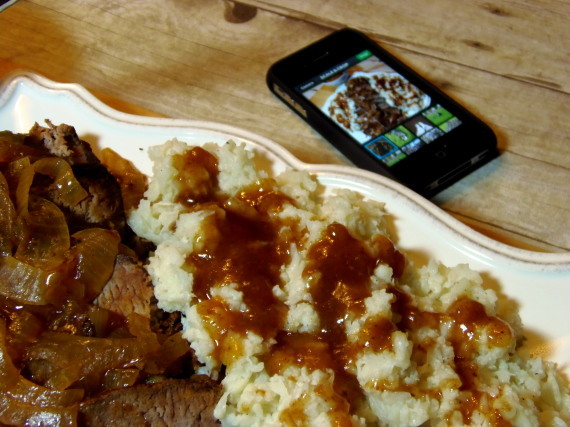 What’s better than a slow cooked meal that’s ready to eat, when you’re ready to eat it? Not to mention the fact that in the warmer summer month’s the heat is contained and not steaming up the kitchen. Win. Win. 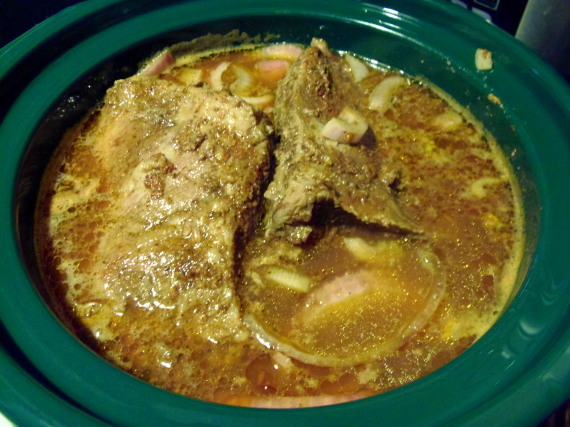 This weeks #SundaySupper is all about slow cooker foods. Everything from appetizers to desserts can be made in a slow cooker and it can, and should, be used year-round as an easy and delicious method of food preparation. Our hostess for this week’s theme is Susan from the food blog Girl In The Little Red Kitchen. If you’re one of those people who think that slow cooker foods are not as fancy and drool worthy as other forms of cooking, just feast your eyes on what’s coming. I think you just might have a change of heart, and it could not have been easier to make ~ Trust me when I tell you, it was mighty goooood eatin’ and fancy enough for company! -Mix the salt, pepper, garlic powder, smoked paprika and chili powder to make a rub. -Rub the seasonings on both sides of the meat and allow the meat to sit approximately 15 minutes. 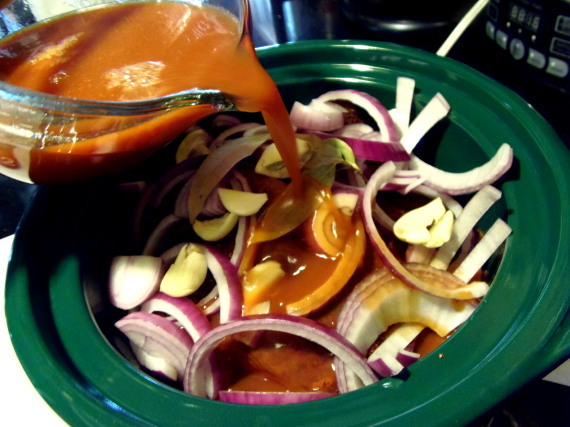 -If necessary cut the meat to fit into the slow cooker. -Place a layer of onion rings on the bottom of the cooker and place the meat on top of the onions. 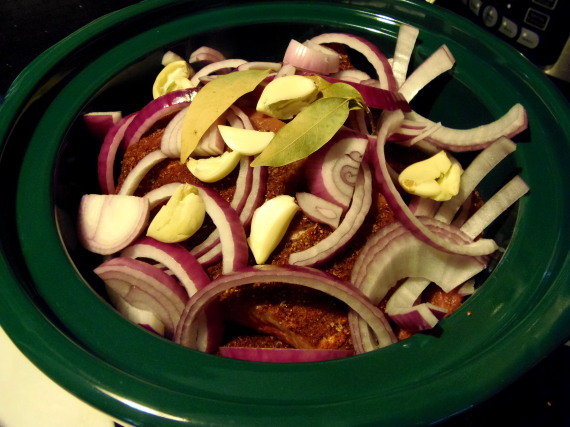 -Add the remaining onions on top of the meat along with the garlic cloves and bay leaves. 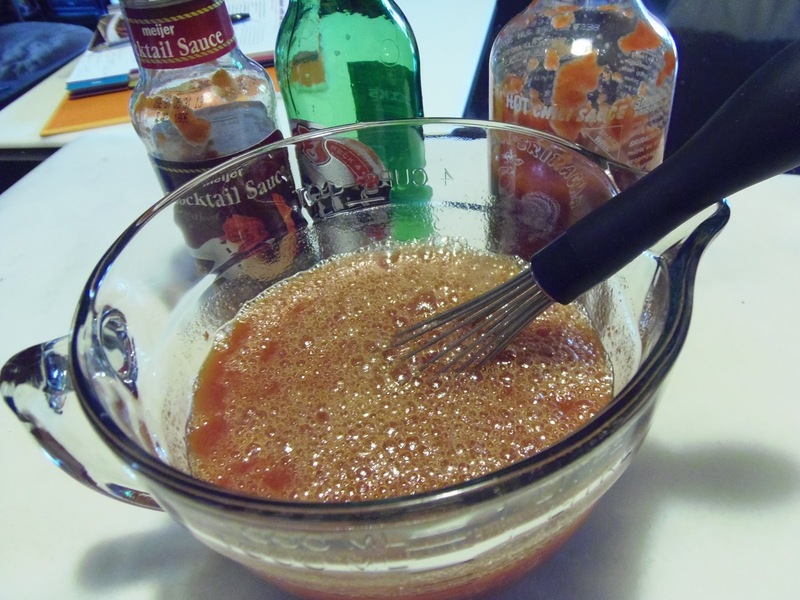 -In a medium size bowl whisk together the beer, sriracha, cocktail sauce, brown sugar and the 1 cup of water. -Pour the beer mixture over the meat in the cooker. -Cover and set the cooker to high and allow to cook for 5-6 hours (or you can do 10-12 hours on low if you need more time). 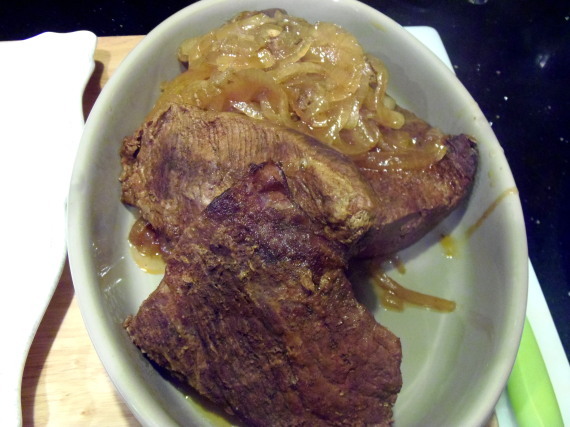 -Remove the brisket and the onions from the cooker and cover to keep warm. 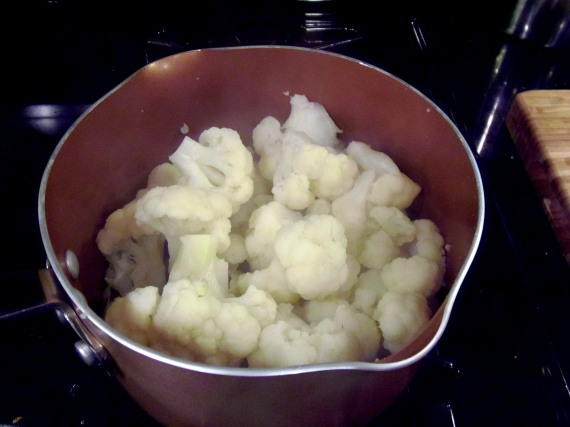 -Take 3-4 cups of the cooker sauce and add it to a medium saucepan. -Over medium heat, bring the sauce up to a low simmer. -In a small cup, mix together the cornstarch and the 2 tablespoons of water. 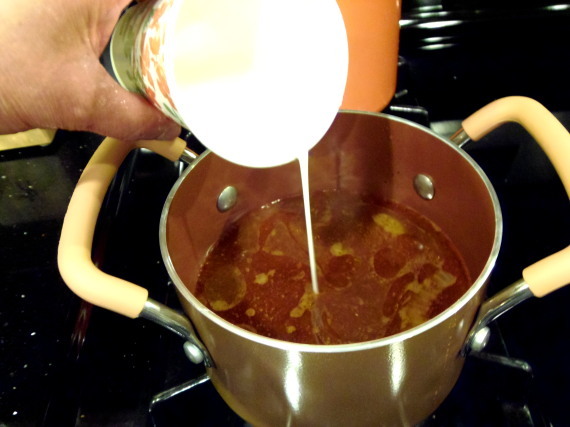 -Pour the cornstarch mixture into the hot sauce and stir to thicken. 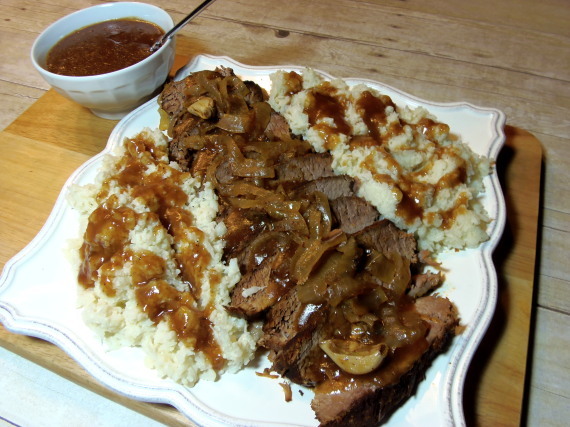 -Slice the brisket against the grain and top with the onions and thickened sauce. **I made a cauliflower mash in place of mashed potatoes and topped it with some of the sauce. The potatoes were not missed! Now go and grab your phone to take more pictures to share on social media (oh wait, maybe that’s just me). LOL!!! There is beer BBQ sauce. I'm sold. 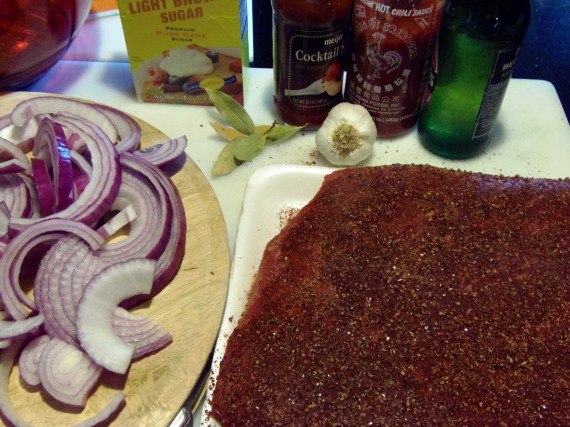 This is also one of my favorite ways to prepare brisket. The rub, the sauce, it´s all mouthwatering! Great recipe for today Renee! There is not much that I wouldn't give to have that on my table right now. Seriously Renee, my tummy is rumbling! Wow this looks incredible. And I love that you paired it with cauliflower mash instead of regular mash. Yummy! This looks beautiful! 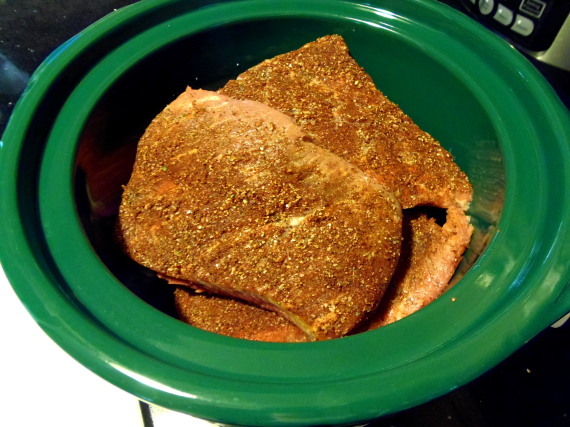 Love making meat in a Crockpot, it comes out so tender! Great flavor combo. Sounds like it came out very tender! Looks like an irresistible #SundaySupper, thanks for sharing!! Looks like a good option for when I don't have 11 hours to use my smoker. Great combo of flavors. You have no idea how long I've searched for a good brisket recipe. I tried one before and was so disappointed. I loving every single ingredient in this recipe so it has to be good. I am so making this for my second attempt at a brisket. 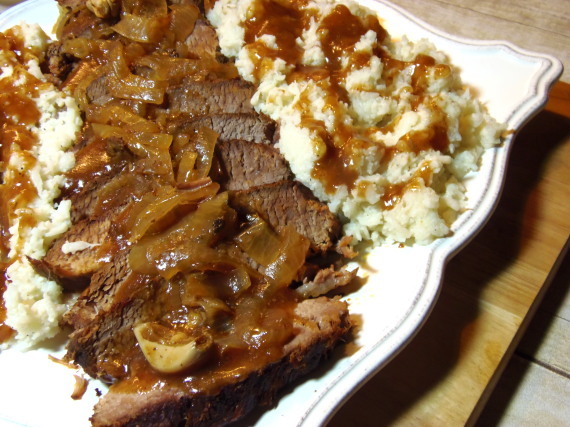 I'm adding brisket to my shopping list…bit time yummy! Your photos of this brisket look incredible! 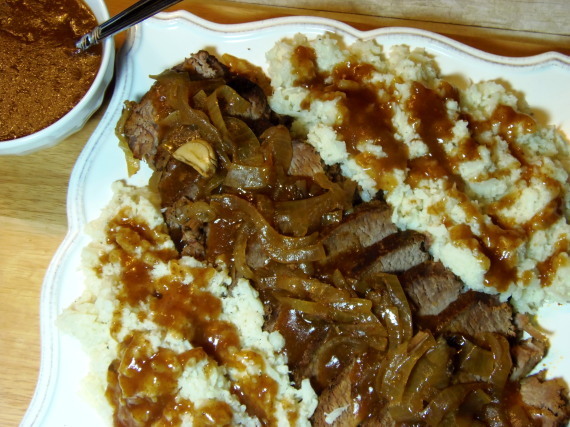 The cauliflower mash sounds amazing with the brisket, as well!